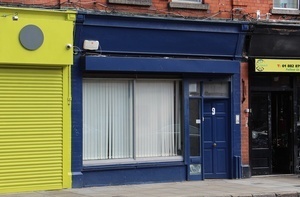 Ellen Coyne and Catherine Sanz, of The Times Ireland edition, went undercover at an ‘abortion advice’ centre on Berkeley Street, Inns Quay, Dublin 7. The journalists secretly recorded a counsellor at the clinic advising that abortions cause breast cancer and can turn women into child abusers. Posted in Misc and tagged Abortion, Berkeley Street, blue door, Dublin at 11:54 am on January 31, 2019 by Bodger.